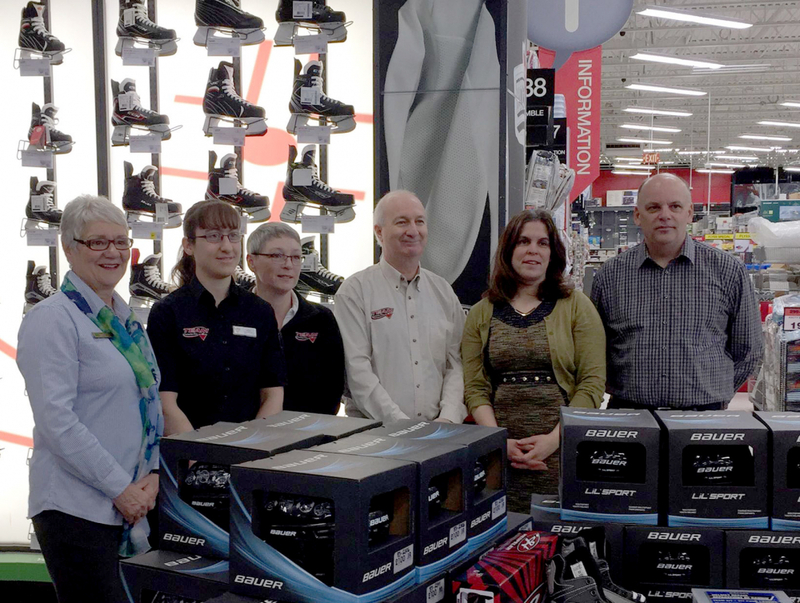 The Skate & Helmet Lending Library at the North Grenville Municipal Centre is expanding, thanks to a generous sponsorship by Canadian Tire Kemptville. Twenty new helmets and twenty-four pairs of skates are being added to support increased demand for this important program. As one of the original partners in the 2015 creation of the Lending Library, Frank Hoffman, owner of Canadian Tire Kemptville, believes strongly in supporting the local community and has been involved in other local initiatives such as lending programs for geocaching equipment and Nordic walking poles available at the North Grenville Public Library. “I always look for ways to help our community and care about the youth in North Grenville,” stated Mr. Hoffman. The goal of the Skate & Helmet Lending Library is to increase physical activity for all ages, remove financial barriers to participation and, with the availability of helmets in all sizes, to reinforce the importance of safety and preventing head injuries while on the ice. “I am delighted by the ongoing generosity of the North Grenville community and our local business leaders”, remarked Mayor Nancy Peckford. 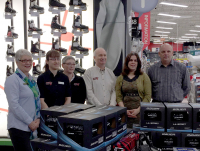 “Canadian Tire Kemptville demonstrates a strong commitment to making a healthy and active lifestyle affordable for all ages. Available during public skating hours and school visits, the lending program functions like a library with all equipment being signed in and out and cleaned by a Municipal staff, with regular inspections and sharpening. Valid photo identification is the only thing required to borrow the equipment. The Municipal Centre also lends skate aids during family skating and school visits for those who are learning to stand on two skates.